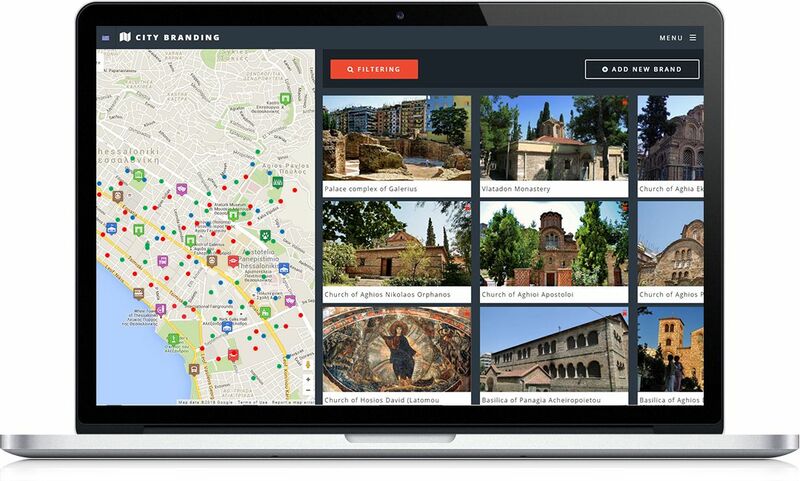 City Branding is an application that promotes the identity of the city using virtual tours while connects the commons with local shops and services providers. The application allows Municipalities to focus on different target groups, which are associated with various aspects of city’s identity (history, culture, economic environment, etc.) by supporting the differentiation of the commons according to the target group in which the visitor belongs. 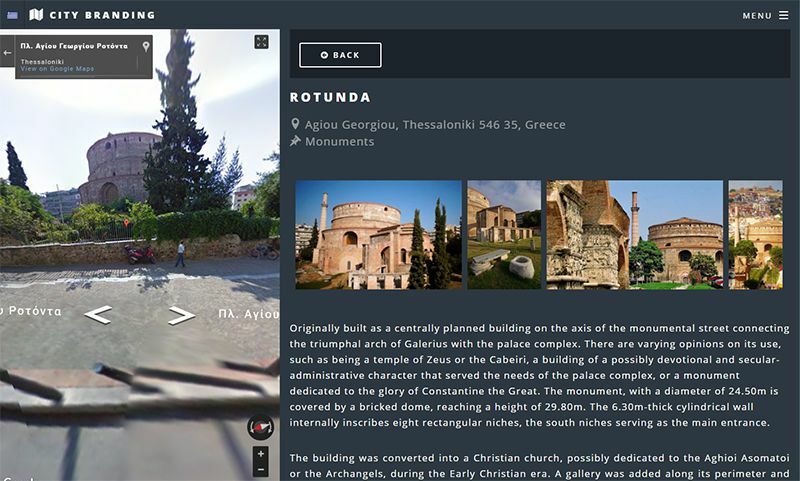 Each Point of Interest is presented using interactive maps, 360o panoramas, video and images. 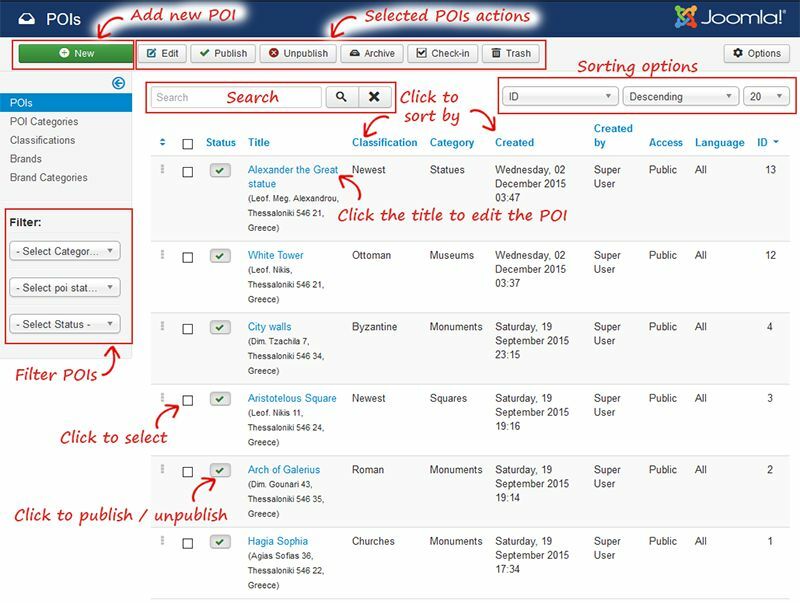 POIs and Brands can be classified using multiple categories (i.e. type, time period, etc.). Tourists explore the city’s attractions in various ways and discover unique places to visit. Local business communities can offer services tailored to the tourists’ needs and expectations. Municipalities can focus on different target groups, which are associated with various aspects of city’s identity. City Authorities can create a vibrant digital space that will promote the city’s image to different target groups, which are associated with various aspects of city’s identity (history, culture, economic environment, etc. ), as the platform supports the differentiation of the presented commons according to the target group in which the visitor belongs. Moreover, the local business communities can offer services tailored to the tourists’ needs and expectations, as the platform allows services provisioning based on the public space of the city and in particular around the public commons of the city. These commons can be connected to local shops and services providers.